Dealing with your Houston TX Security System Business needs can be very overwhelming when you don’t know what to do. Are you trying to find the right alarm, video monitoring, and security systems for help? If you’re unable to figure out your problems and make the most out of your commercial security, we can help. Mega Systems Security of Houston, Texas can help you with your problems. Read more to learn additional information about how we can help. Our professionals are on your side, and you can count on them to figure out your dilemmas and predicaments. 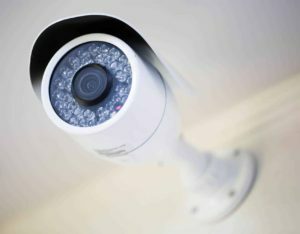 Our IP cameras can help you experience the best possible results for when you need some video monitoring. We understand how this can hold you back from making the most out of your commercial security. Are you beginning to work out your commercial security situations and you’d like some help? This is something that can get the best out of nearly anyone, but we can help. Keep reading for more info on what we can do for you and your security system. IP cameras are great ways to make sure you have the best possible technology for your commercial workplace. This is something that you can use instead of the traditional, older analog cameras. We want to make sure you have the right answers for your security problems. Our team uses top notch quality cameras that give you the results you’re looking for. We understand what cameras as for, and we do our best to help you with your video capturing problems. Call our team today at 713-668-8818 for additional information. Are you trying to find something that won’t require a lot of cables, cabling, wiring, and setup? If so, you may want to avoid the analog camera. This is an older form of video capturing technology that can really hold your security setup back. You’re going to want the full potential out of your setup, and it’s tough dealing with these type of deficiencies. Contact us if you’re ready to start installing IP cameras around your premises. Our technicians can help you find the perfect cameras for your specific setup and make sure you have the right price for the right service. We run a successful Houston TX Security System Business that can help you get to the bottom of your security struggles. People have worries about their offices and warehouses. If you’re a business owner that worries about security measures often, you should invest in our commercial security experts. With our team around, you’ll be able to count on the assistance of our team. We pride ourselves on our customer service, and we’ll give you the proper respect you deserve. Are you interested in figuring out how you’re going to get your cameras installed for an affordable price? Depending on what you’re looking for, you might feel trapped in your dilemma. Make sure you can count on our team of technicians at Mega Systems Security. We understand that Texans need some great deals to help them save money during a difficult economy. If you’d like access to the right deals and savings, our mobile technicians can help you. Call our team at 713-668-8818 for more information and pricing estimates. Mega Systems Security understands that you’ll need the right prices for the right services. Houstonians are always looking for the right deals, and we understand this completely. We’re business people just like you, and we want to make sure you have the best resources that help you save money. Things can get difficult, and you’re going to want the right deal. With our security technicians around, we’ll help you with your commercial security setups. Our commercial experts understand that every single commercial institution is different. No two offices are the same, and you’re going to need to treat each project as its own. Some people make the mistake of comparing too much, and others are unable to properly secure their commercial setups on their own. Our team is always ready to replace your equipment and make sure you have working security measures. At Mega Systems Security, we know how difficult it can be to figure out these problems on your own. If you have some lighting that needs to be fixed in your office, you may feel intimidated. 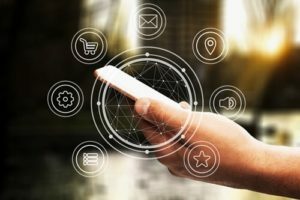 Things such as video monitoring, alarm installation, and other commercial efforts can take a lot of time and technology. Our team uses only the best brands and manufacturers in the world. We care about making sure you only receive the best from us. If you’d like a trustworthy company that aligns itself with other great brands, we can help. Call Mega Systems Security For More Information! Our Houston TX Security System Business is committed to helping you install the best possible security system for your specific building. If you’re having some trouble getting to the bottom of your security needs, contact us today for more information. Feel free to call 713–668-8818 and discover the world of commercial security. Our experts can provide you with amazing service, awesome deals, and quality services. With Mega Systems Security on your side, you’ll have top notch security for a very low price. Houston’s annual Livestock Show and Rodeo is the largest of its kind. Every year, people from around the world come to our city to enjoy our live concerts and livestock shows. You’ll be able to find out a lot about our local culture by taking in this annual event! If you’re a fan of sports, Houston is a great place to live. We have some of the best teams in the nation. Some of the top professional athletes in the world call our city home. Houston is one of the largest cities in America. Our city is one that has affordable real estate. Even the top neighborhoods in our town have great prices compared to other major cities in America. This makes us a very unique landing spot for many Americans.